﻿ Best Price on South Gap Hotel in Christ Church + Reviews! Have a question for South Gap Hotel? 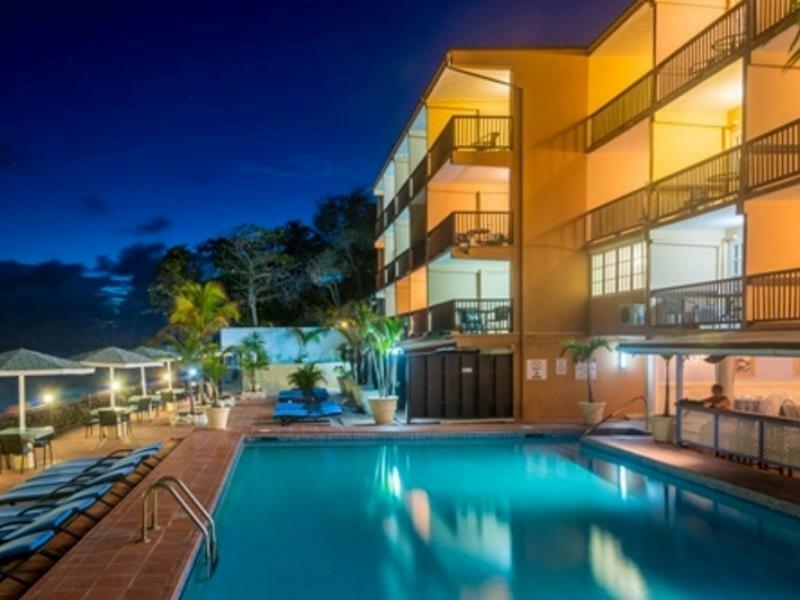 Sitting on the tropical island of Barbados, South Gap Hotel offers an accommodation in the popular tourist destination, Caribbean Sea. 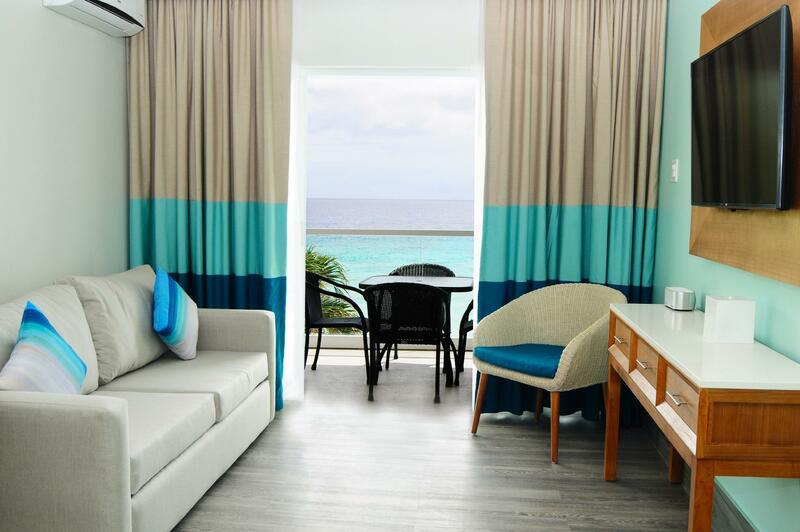 A short distance from the hotel you will find Dover Beach where you can sink your feet into its white sand or take a dip in the bright blue sea. 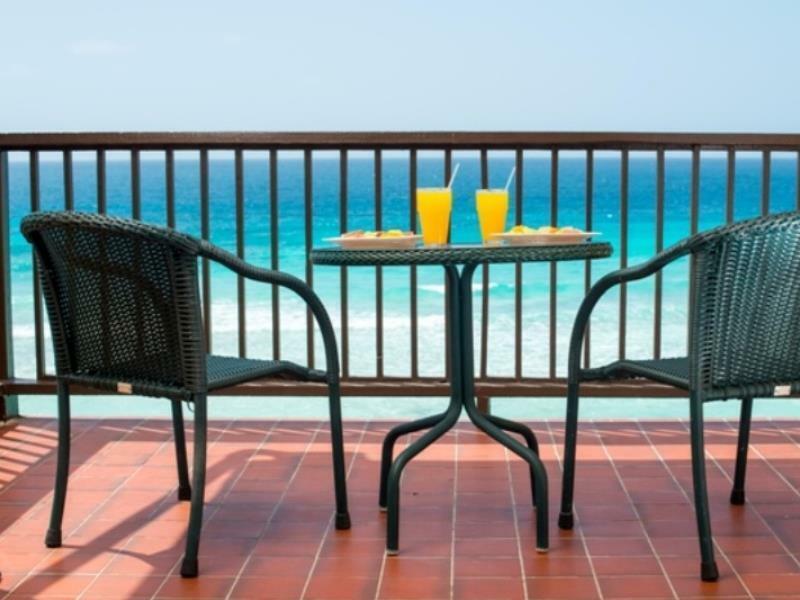 Savor uninterrupted views of the ocean right from the guestroom windows of this affordable property and take full advantage of its full range of facilities. 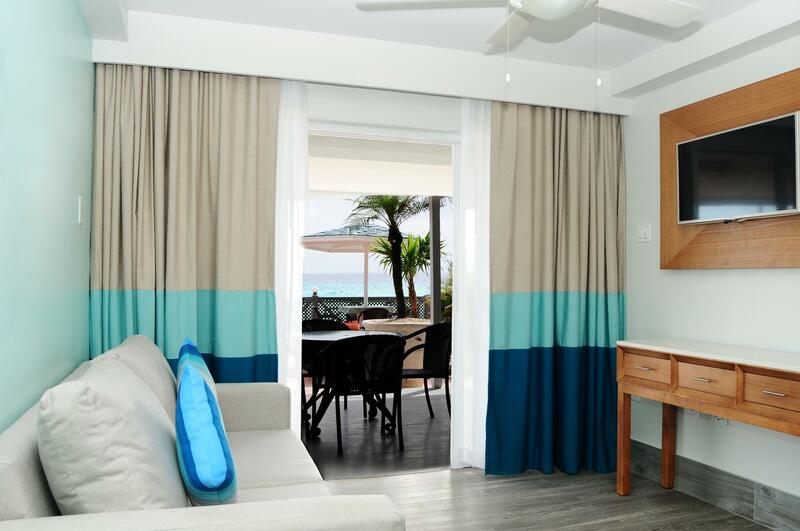 Each oceanfront room promises a magnificent view of the sunset, making South Gap Hotel a perfect choice for your tropical vacation. The room we got was ok, but it was not cleaned enough. The furniture is rather old and repainted. The atmosphere at the hotel was nice. The location is perfect. It was somehow a pleasant stay in the end. I will definitely stay here again when I am back in Barbados. The staff (particularly AnnaLee) were all very helpful and friendly. The location is very central to nightlife. It is loud every night with noise from the karaoke across the road but this is OK if you want to be out and amongst it. We really enjoyed the pool area of the hotel. There we enough beach chairs, lovely staff and good drinks (2 happy hours a day). Also there's a good beach near by. South Gap area was great for easy and relaxing holiday. very nice and helpful staff, free attendance to zumba on Mondays! Great location - very close to the beach, shops, clubs and pubs. Very friendly and helpful staff - they arrange all the trips for us, suggested to attend the zumba class on Monday, which was great fun. Chatty people and the hotel bar - always somebody to talk to. The South Gap Hotel is more of a motel style accommodation with parking available out the front. This is not glamorous accommodation but does have a swimming pool and lovely outlook over the ocean but no direct beach access. Happy hour at midday and early evening is a plus! Bring earplugs as the bars/clubs on the street are very loud during the high season. View over the water was amazing pool was fanrastic, staff were wonderful and very friendly, rooms were great with ktichen facilities. The stay at this hotel was very enjoyable and we would stay here again. The only discomfort was the noise from the restaurants and bars on the street but after moving to a downstairs room the noise was eliminated. The sun beds could do with updating. Perhaps beach access (which is about a 5 minute walk away) could be an issue for some people but we enjoyed the walk and preferred the pool for swimming and lazing around. The beach was fabulous for walks. Other than that we had a perfect stay and would highly recommend this as a place to stay in this price bracket. Exterior view of building is non-descipt. Inside is small lobby, dingy hallways. Limited restaurant, small pool, old worn-out lounge chairs. Rooms though are ok. Superior seaview room was big, clean, freshly decorated, everything worked excellent, comfortable. Junior suites downstairs on pool level cost a little more and were not good: small bedroom and small front room, bad uncomfortable space. This is good hotel for usd per night if you are solo or with friends there to party, many places nearby. Not a couples or romantic destination. No beach with this hotel, need to hike a bit. After a request they did change my room to higher floor. Ithe hotel needs updating, but the stay was pleasant. It is in very busy st lawrence gap so be prepared for loud nites. Great location, clean and room has good amenities. Every time I have visited Barbados I have stayed in a 4* hotel. Because this was a short stopover trip with my Brother we decided to just book what we thought would be a cheap and cheerful room each for the two nights. We were pleasantly surprised! The hotel was very clean, the rooms were surprising well equipped, with iron and ironing board, tea and cofee making and cooking facilities, toiletries, fridge and good sized balconies. The pool area and bar/restaurant area was also very nice. The location was 2nd to none. I have never stayed so close to the gap and it did not affect on my sleeping whatsoever. I would highly recommend this hotel to travellers, whether on a budget or not! This hotel is a 60 second walk away from a small supermarket. A 2 minute walk away from a jaw dropping beach, and has Restaurants and bars surrounding it. I don't usually stay in hotels like this. However we decided on a whim to go to Barbados and this was the best mix of location and price available at such short notice. I can only imagine that the low star rating for this hotel is because of the noise during the night - because the rooms, views, cleanliness and service would not be out of place in a five star hotel. The rooms are very large, and equipped with microwave, ipod speaker dock, alarm clock, hob cooker, fridge and a freezer. There is a fairly large balcony and the view is something I will never forget. The location is fantastic. We are both in our mid twenties and really enjoyed the atmosphere and the nightlife right on our doorstep. There are two negatives. The hotel is noisy during the nights (due to its close proximity to so many bars). Now I had heard several horror stories on various websites about this issue and had packed ear plugs for us. However I did not find it anywhere near as noisy as we had been led to believe and we didn't even use the ear plugs. So I am not sure if we just got lucky with the room provided to us. It is fairly noisy, but certainly not intolerable. The second negative I really do have a problem with. You can not step outside the hotel without being harassed by somebody trying to sell you drugs. Now I am aware that the reason we were singled out is because we are fairly young. The issue I have is that the same people are repeatedly trying to sell drugs, knowing that you have told them several times previously you are not interested. One night this did cause an argument between us as I was apparently rude to somebody who offered me drugs for the 20th time in 3 nights. This can't be blamed on the hotel though. Unfortunately we could not sleep at all at this hotel. The bar across the road goes till about 5am & it is just as loud in the room as if you were at the bar. We asked to be moved & were moved for 1 of our 4 nights to a ground level facing the pool - we got some sleep, but in our 1 bedroom (most expensive room in the hotel) it was impossible. The hotel is well aware of the problem, the staff were nice but they should not rent these rooms without full disclosure of the extreme noise. Everything else was great - such a shame I could never stay there again!!!!!! The rooms are clean and comfortable if a little on the small side and a little over priced for what they are but no overly so. The staff are very helpful and friendly. Great restaurants and beaches are within minutes on foot. a little noisy thurs night ,,not in the hotel but from across the street. we stayed at south gap hotel for 4 nights before joing our transatlantic cruise. having travellled from new zealand via los angeles we were in desperate need of a relaxing time. wonderful seaviews from largish balcony and french windows. comfortable beds and facilitiesfor cooking or heating food. very good restaurant at thishotel and the staff were most helpful in fulfilling our requests for snacks at irregular times. the coffee was great. one definite minus is the blaring noise of the karaoke bar across the road.......diminished a little on a saturday night, when the police are patrolling the entertainment area. otherwise it continues til 4am......the management at hotel have been fighting to get some earlier curfew.....to no avail. really nice swimming pool, but a 7 minute walk to proper beach.